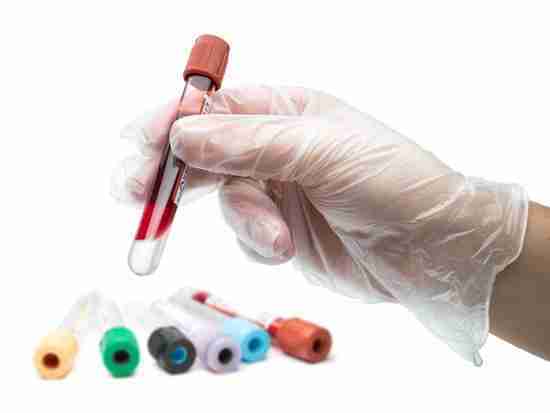 A Blood Test to Diagnose Depression | The Wait Is Over! News flash! The wait appears to be over. And this is just huge, in many ways. Let’s take a look at a groundbreaking study, published September 16, 2014 in Translational Psychiatry. Northwestern Medicine® (Chicago) scientists have developed the first blood test to diagnose “major depression” in adults. Folks, we’re talking about an objective, scientific diagnosis here. And that’s because the test measures levels of nine RNA blood markers. FYI – RNA molecules are the messengers that interpret DNA genetic code and carry out its instructions. Were this only about the diagnostic piece, it’d be plenty. But there’s more. The blood test also predicts who will benefit from cognitive behavioral therapy (CBT), based upon the action of some of the measured blood markers. But wait, Batman, there’s even more. The test shows the actual biological impact of CBT. I mean, was it successful, or not? That’s right, levels of markers changed in study subjects who’d participated in CBT for 18 weeks and reported they were no longer depressed. This clearly indicates that you can have a blood-based laboratory test for depression, providing a scientific diagnosis in the same way someone is diagnosed with high blood pressure or high cholesterol. This test brings mental health diagnosis into the 21st century and offers the first personalized medicine approach to people suffering from depression. Now, we’ve discussed personalized medicine here on Chipur. In Depressed? Which Antidepressant Is Right For You? Enter Genetics! we reviewed available tools to assist in understanding genetic and biological markers that best predict responses to psychiatric treatments. Guess I don’t have to remind a Chipur reader how depression (anxiety, bipolarity, and more) has traditionally been diagnosed. Yep, let’s open that DSM and roll the bones. It’s all been purely subjective. And, fact is (was? ), reported symptoms, as well as observed signs, could be manifestations of any number of emotional/mental or physical maladies. And then there’s the matter of compromised ability to report symptoms, as well as the “Why bothers?” Oh, and let’s not forget errors in reception and interpretation by the clinician. But those worn-out realities appear to be behind us. So let’s dig-in to the study goings-on. Participants included 32 adults who’d been independently diagnosed as depressed in a clinical interview – and 32 non-depressed. Some of the participants had been on antidepressants for a time, but continued to be depressed. By the way, the participants were involved in a previously reported study comparing the effectiveness of face-to-face and telephone-administered CBT. Now, before CBT participation, the study team found nine RNA blood markers with levels significantly different in the depressed participants versus the non-depressed. And it was these markers that enabled the team to diagnose depression. After 18 weeks of CBT (face-to-face and telephone), changed levels of markers differentiated participants who responded positively and were no longer depressed from those who remained depressed – based upon a clinical interview and self-reported symptoms. So in addition to diagnosing depression, the blood test actually predicts who will benefit from CBT, based upon a distinct pattern – fingerprint – of the nine marker levels at baseline in participants who recovered from depression as a result of the therapy. Seems the blood levels of these markers did not show this pattern in the participants who didn’t improve with the therapy. The blood test also identifies vulnerability to depression. See, the blood concentration of three of the nine RNA markers remained different in depressed participants and non-depressed controls, even if the depressed participants achieved remission from depression after therapy. More to come from Redei and the research gang. The plan is to test their results in a larger population. And how ’bout this? They want to determine if the test can differentiate between major (unipolar) depression and bipolar depression. Having a depression test – much less an objective blood test – is a huge development for so many reasons. Just think, if you’ve been pondering “Am I Depressed?,” you won’t be stuck in a guessing-game for years on end. Simply, it’ll be it’s major depressive disorder or let’s move-on to something else. And imagine knowing up-front whether or not CBT is a viable treatment option. Pretty sweet. And you know what? I’d be willing to bet similar research is cookin’ for anxiety, as well as other psych woes. Just Another Teachin’ Tuesday: Epigenetics…Very Hot Stuff! Buckets more Chipur titles ready for your review.